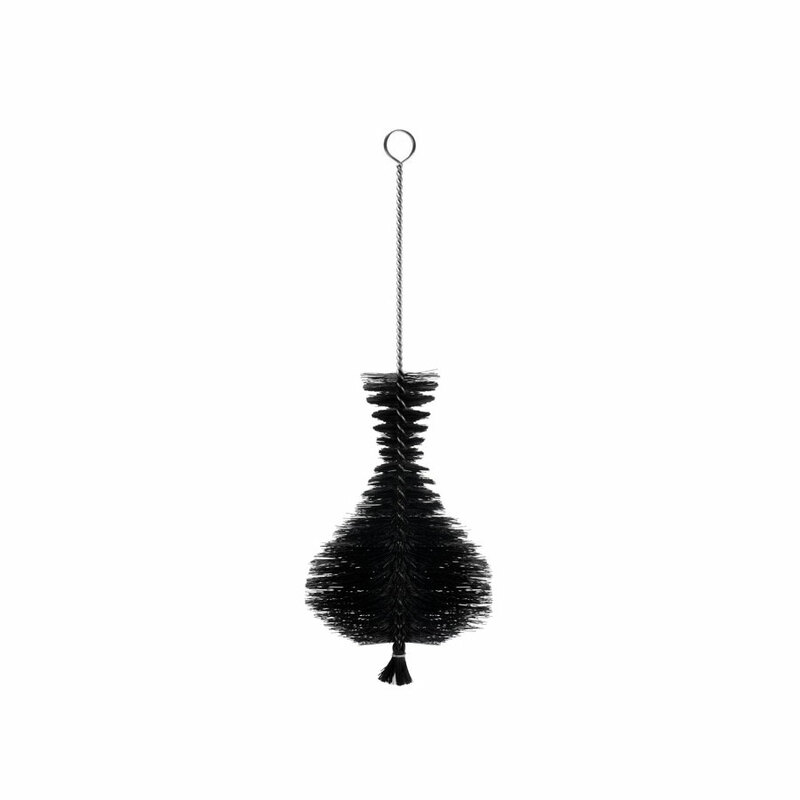 The Big Decanter Brush has been designed to optimize the cleaning of the neck, the walls and the bottom of the decanters and tasting glasses. - The shape of its brush, an exact reflection of the shape of a decanter, assures a close-fitting cleaning. - Its high quality nylon brushes allow an adjusted cleaning, soft or vigorous, depending on the place and the toughness of the stains. - Its stainless steel spiral rod can be bent to fit, even better, the specific shape of each decanter. - Washing machine safe, hygienic and durable. - Hang it between each use in order to preserve the original shape of the brush.